Natur-Sport Sorbas, S.L is authorized by the ‘Junta de Andalucia’(local Government of Andalusia) and counts on all necessary licences and insurances. So, for your security, I highly recommend you to use their services, and not visiting any of the underground karst topography on your own! 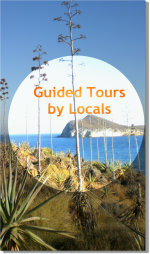 Their tours are quite affordable and prices range between 12 € and 8 € per child. 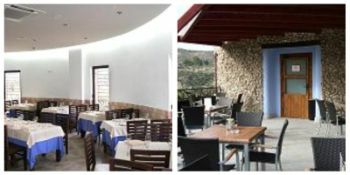 They even offer a three menu lunch at their Restaurant at 20 € per person (prices subject to changes.) Or if you prefer, you can have just a coffee on the Terrace-Bar. Did I mention that their guided tours may be booked in English, French, German or Spanish? This one is a simple one and doable by almost everyone. The length of the trail is between an hour and a half and two hours. You will be guided through spacious galleries where you can admire gypsum crystals reflecting in the light of the hulls. There are small pools that are full of water throughout the year. It is an easy one, suitable for school classes. The length is about four hours. It begins with a tour on the surface where there are sinkholes of dissolution, collapse, potholes and mounds formed in the plaster along the years. 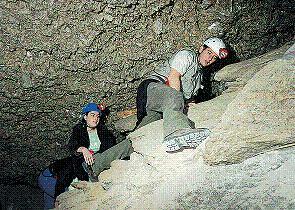 After a short break for lunch, the route continues through the 'Yesos' cave. 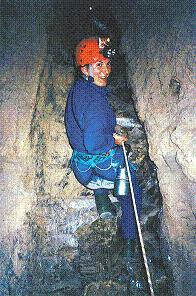 This route is a complicated journey through two very different caves of the Gypsum Karst topography of Sorbas. 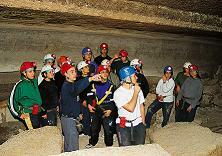 It is indicated for people with enough agility and the tour lasts approximately four hours.